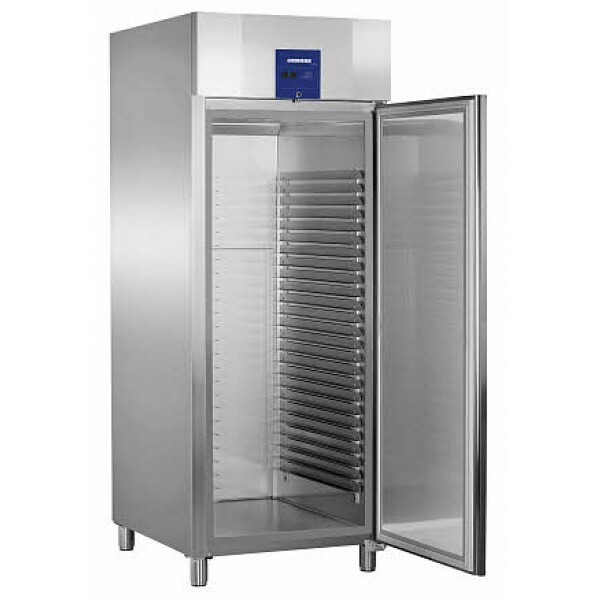 ProfiLine bakery refrigerator designed specifically for use in bakeries and pastry shops. The humidity levels can be set to suit the application. 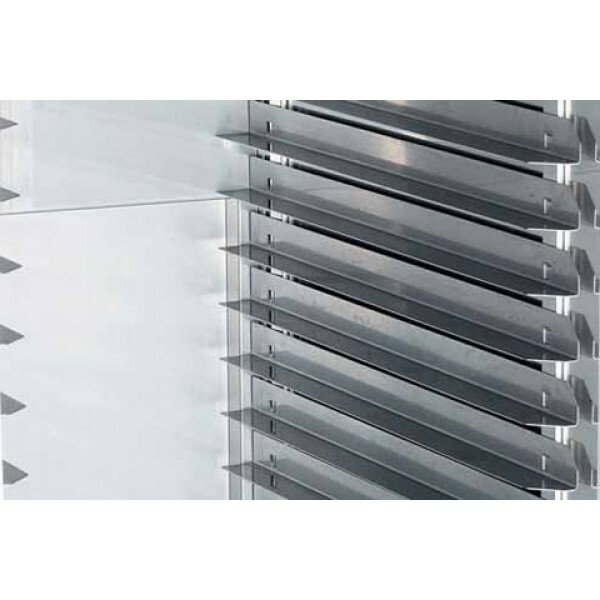 Efficient forced-air system designed for a maximum ambient temperature of 43°C and special air-ducting system ensures cold air is not directed straight onto delicate goods. ProfiLine bakery refrigerators are designed specifically for use in bakeries and pastry shops. The humidity levels can be set to suit the application. The appliances with efficient forced-air system are designed for a maximum ambient temperature of 43°C. They can be set to temperatures ranging between -5°C up to +15°C. The ProfiLine digital controller allows the temperature to be set to exactly the degree wanted. It is equipped with a volt-free alarm contact for connection to a central alarm system. The electronic control system controls the automatic defrosting by hot gas. The visual and audible door and temperature alarms ensure maximum safety. The integrated lock is exceedingly sturdy and protects against unauthorised access. 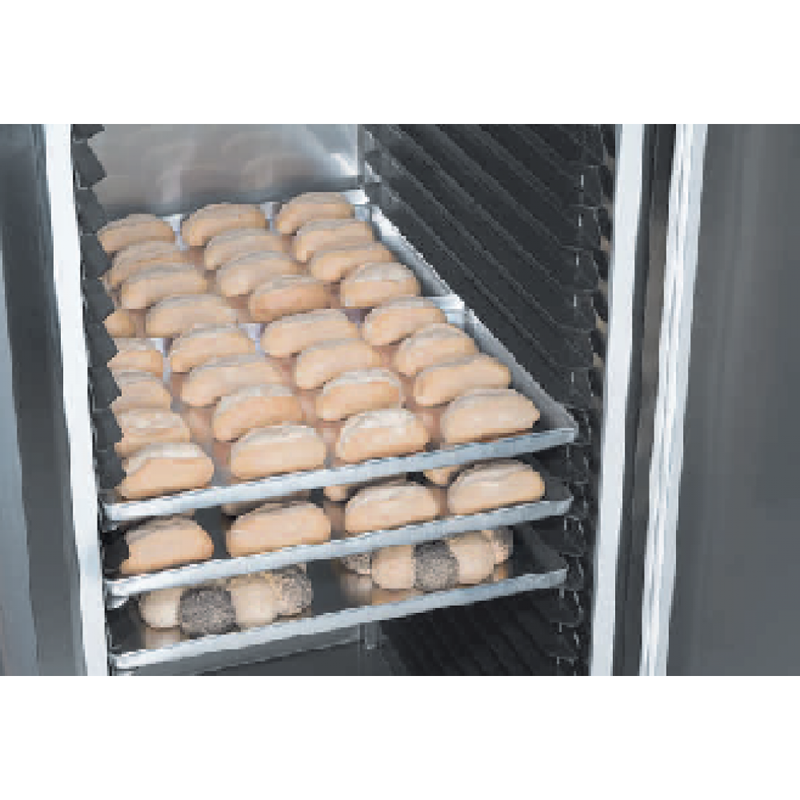 The 304-grade stainless steel inner liner is designed to take bakery trays. The adjustable, L-shaped trayslides are suitable for 600 x 400 mm and 600 x 800 mm bakery trays, depending on appliance. A special air-ducting system ensures that cold air is not directed straight onto delicate goods.